Congratulations to Robert (Bob) Sandford on becoming partner effective January 1, 2017. In 2003 Bob started his own business providing accounting, assurance and tax services to a wide variety of clients and sectors. 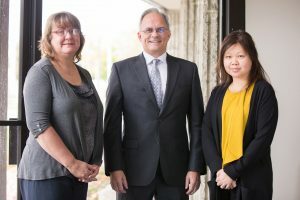 After 13 years as a sole proprietor of Robert G. Sandford Professional Corporation, Bob and his team made the decision to join forces with the team at Ford Keast LLP. Congratulations to Bob on becoming partner and on merging his practice with Ford Keast LLP. Welcome to the team!